Bubbles, bubbles, who loves bubbles? And who loves it when you can’t find the bubble wands? 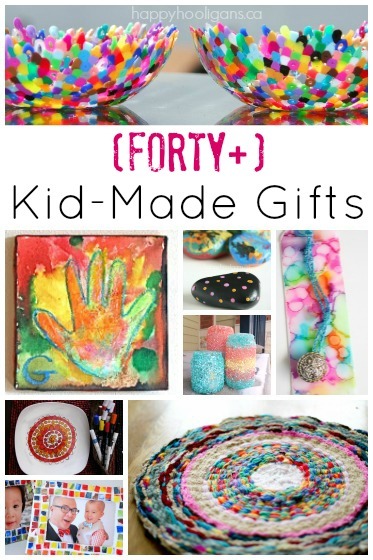 Or when the kids knock over the bubble mix within minutes of playing with it? Yeah, well, those are the downsides to bubble blowing, but fear not, Mama! I’ve got a couple of solutions for you! 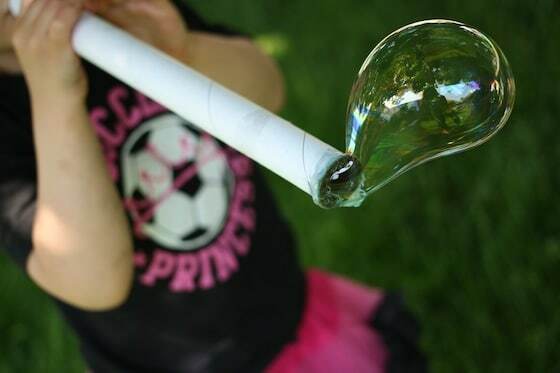 The first being this easiest-ever homemade bubble blower made from a cardboard kitchen tube! 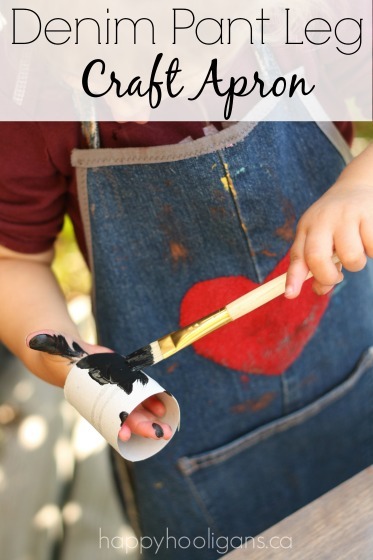 We just love repurposing our cardboard rolls! Don’t you? 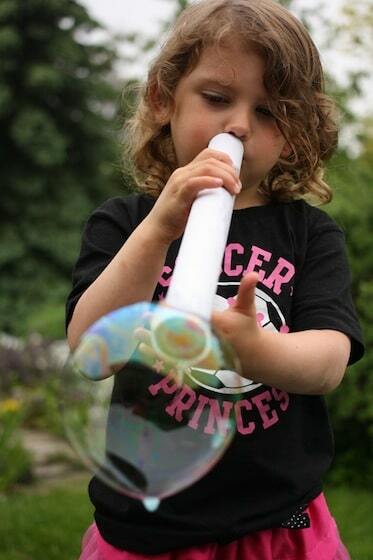 We love blowing bubbles here. 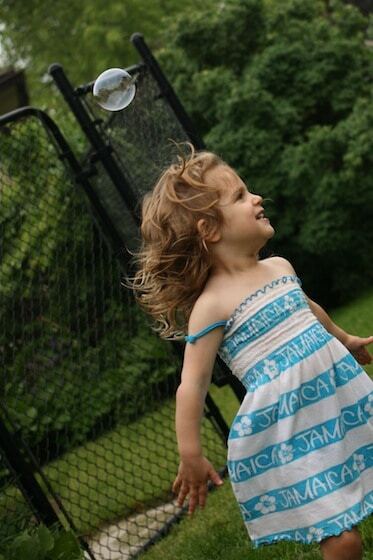 Remember our giant homemade bubbles? Oh yeah! Well, the hooligans wanted to blow bubbles the other day, but I couldn’t remember where I’d stashed the bubble stuff at the end of the season last year. That didn’t stop us. We set out to make some homemade bubble blowers out of common kitchen items. This one is simply a cardboard kitchen roll! And our bubble mixture? About 2 tbsp of straight dish soap! Hey, don’t laugh. Not only did our cardboard bubble blower work, it worked REALLY WELL! And check out our straw and coffee-filter bubble pipe! It was great too! So how did we “make” our homemade bubble blower? Simple! 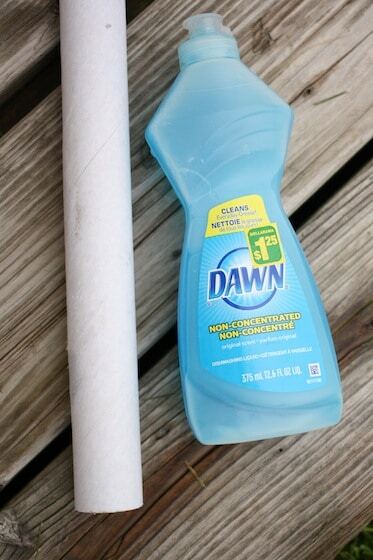 Grab a cardboard kitchen roll and a bottle of dish soap! What kind of cardboard roll works best? We started off with a paper towel roll, but it got soggy fairly quickly. It will do in a pinch though! What we found worked best was the sturdy cardboard roll that holds aluminum foil or cling wrap. It held up very well. To blow our bubbles, I simply poured a couple of tbsp of Blue Dawn Original (un-concentrated) Dish Soap into the bottom of a shallow bowl. We dipped the end of the tube in, and blew, and wow! It totally worked! 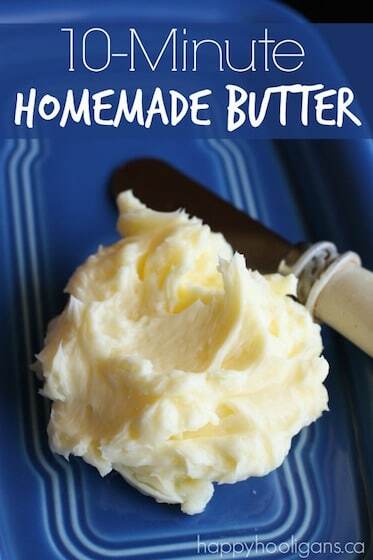 Just go slow with the dipping, and try not to work up too much of a froth in your bowl. Too much foam will prevent your detergent from working. Just dip, hold, lift. No swishing or tapping up and down with the cardboard roll, okay? Do you have to use Dawn Dish Soap? I would imagine any dish soap would work, but I don’t know for sure. 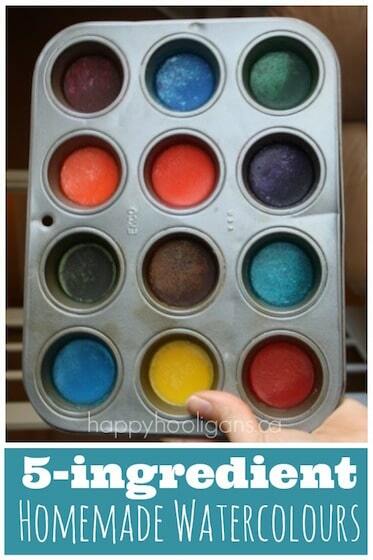 We used Dawn because it’s what we use when we make our Giant Bubble Mix. That stuff makes the best and biggest bubbles EVER so I figured it would work for this. 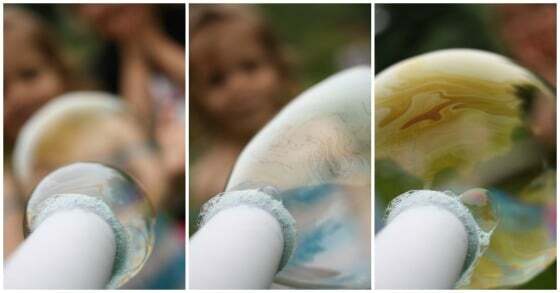 You’ll start to play around with your technique when it comes to flicking the wand to release your bubbles off the end of the wand. 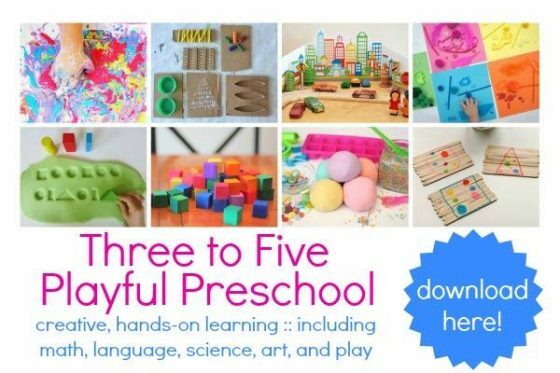 I also found if you puff into the tube making “puh” sounds: “puh-puh-puh-puh-puh”, you’ll make a series of bubbles, one after another, after another, after another. 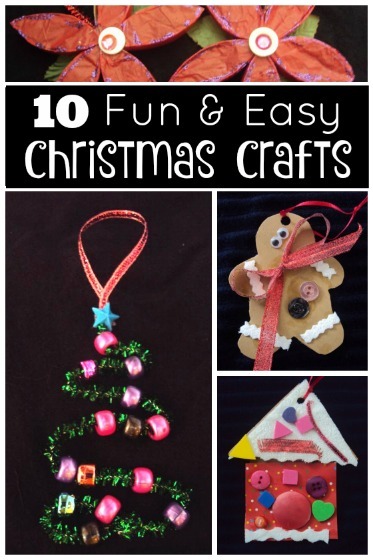 And easy enough for the preschooler to get the hang of quickly! 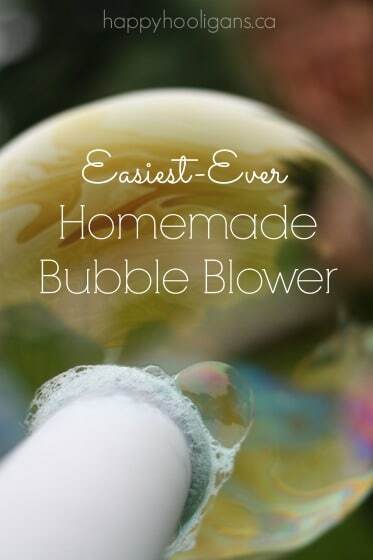 Want to see another super-cool and easy homemade bubble blower? Check out the bubble snakes over at Housing a Forest.